There are many ways teeth can be damaged, and plaque is a common example. When you are familiar with this topic, you can avoid plaque build-up and have healthier teeth. A small amount of plaque is not always visible. The sticky substance consists of food particles, mucus, and bacteria. The substance can cause tooth decay, and increase your risk of gum disease. If there is enough plaque to be visible, it may already be causing damage. When plaque is not removed, it can harden and become tartar. Tartar can contribute to bacteria growth. It is much easier to control plaque than to have tartar removed with dental instruments. Foods that contain carbohydrates leave a residue on your teeth. This causes the bacteria that is naturally in your mouth to grow. The acids produced by the bacteria can destroy your tooth enamel. When plaque forms, it can also harm the tooth’s roots, and damage the bone that supports the tooth. While starchy foods also contain carbohydrates, it is easier to eliminate or reduce the sugary foods in your diet. Instead of sugary carbohydrates, choose tooth-friendly products. Fresh vegetables and fruits, plain yogurt, cheese, black or green tea, and sugar-free gum are good alternatives to candy, cookies, and other sweets. Avoid sugary foods as much as possible, but be especially cautious of products that cause the most damage. Chewy candies and hard candies that linger in your mouth should never be eaten. Avoid carbonated beverages, too. When you want to avoid sugar and promote dental health, choose fluoridated water or a cool glass of milk. Limit starchy carbohydrates in your diet. While some starchy foods are important for good health, you do not need crackers, potato chips, and similar starchy foods that provide empty calories and no nutritional value. To reduce plaque and prevent build-up, practice home dental care conscientiously. 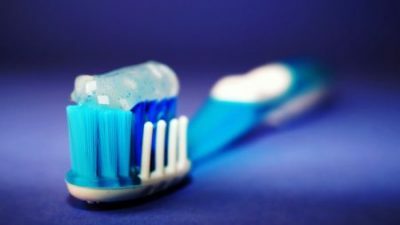 Use a soft toothbrush and fluoride toothpaste to brush at least twice every day. Brushing carefully along the gum line can remove additional residue. Brush the areas where your teeth and gum meet. Make flossing and mouthwash part of your dental care routine. Rinse with an antibacterial mouthwash if you eat or drink between meals. When you want healthy teeth, you should be at the dentist’s office every six months. Home dental care cannot replace professional dental hygiene. The instruments will remove excess plaque and hardened tartar that you cannot remove at home. Hard-to-reach places in your mouth will also be cleaned. You can be free from plaque and on your way to excellent oral health. It is not possible to completely prevent plaque build-up, but these few tips can make a difference. If you want more information on how your diet and home dental care routines affect your health, call today to make an appointment with our office. What is the Connection Between Periodontal Disease and Heart Disease?What Happens to Your Body When You Drink Soda?